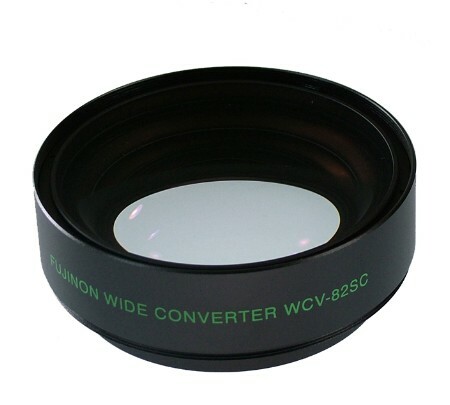 The Fujinon WCV-82SC Wide Angle Lens Converter works with the JVC GY-HD100 Camcorder. It has a rear diameter of 5.5mm and a front diameter of 16mm. It weighs 2lbs.